to the companion site to the book Be Prepared. If you’ve already got the book, you know that this site contains a bunch of added features that we couldn’t possibly have included in the book itself, including sound and video files, cut-out images and more. 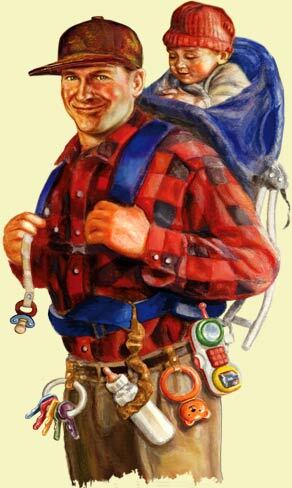 If you haven’t seen the book, Be Prepared is a funny, informative survival manual for guys entering the trenches of fatherhood. It’s jam-packed with one-of-a-kind insights, MacGyver-esque tips and tricks, and no-nonsense advice for mastering the first year as a dad. Feel free to tool around the site, and be sure to check out the sample pages and downloads. And if you know anyone else who might enjoy the site, you can enter their e-mail address in the space below to send them an e-mail about us.